A trio of Olivier Award winners star in Harold Pinter's The Birthday Party, Suranne Jones plays Nancy in Bryony Lavery's Frozen, and Jim Broadbent is Hans Christian Andersen in A Very Very Very Dark Matter. Here with the best theatre productions in London in 2018, hand-picked by LondonTown. Olivier Award winners Toby Jones, Zoe Wanamaker and Stephen Mangan star in Harold Pinter's thriller. A trio of Olivier Award winners, Toby Jones, Zoe Wanamaker and Stephen Mangan, star in Harold Pinter's darkly comic thriller about a birthday party at a seaside boarding house. Proceedings descend into disarray when two enigmatic strangers arrive and disrupt the humdrum lives of the residents. This new production of The Birthday Party at the Harold Pinter Theatre comes 60 years after the play's debut. Ian Rickson, artistic director at the Royal Court from 1998 to 2006, who directed Pinter himself in his last performance as an actor in Krapp's Last Tape, directs. Anna Deavere Smith relives the summer of 1992 for this powerful verbatim theatre piece. Obie Award-winning writer and performer Anna Deavere Smith relives the summer of 1992 for verbatim theatre piece Twilight: Los Angeles, 1992. Staged at the Gate Theatre, the ground-breaking show will look back at the murder of Rodney King, who was beaten to death by Los Angeles police officers. The community was then left in further despair when these officers were acquitted, causing riots to break out across LA and thus shining a light on racial oppression and police brutality. This piece will use the interviews that Smith did with King's family, police commissioners and hundreds of other people. Juliet Stevenson and Lia Williams trade the central roles of Elizabeth I and Mary Stuart. Juliet Stevenson and Lia Williams trade the central roles of Elizabeth I and Mary Stuart, deciding who gets which part with a toss of a coin ahead of each performance. Following its critically acclaimed run at the unstoppable Almeida Theatre, Robert Icke's adaptation of Friedrich Schiller's political tragedy Mary Stuart gets a West End transfer. Set during some of British history's most crucial days, the drama centres on the lives of the two queens - one in power, one in prison. A new play about the uncanny impact of inanimate objects. Annie Baker, whose Pulitzer Prize-winning The Flick had a sold-out run at the National in 2016, is back with John, a new play about the uncanny impact of inanimate objects. Set in a bed and breakfast in Gettsburg, Pennsylvania, it's the week after Thanksgiving and a young couple from Brooklyn are attempting to save their relationship. Following its staging in New York in 2015 The Guardian critic Alexis Soloski praised "the playwright's feel for character and dialogue" and The New Yorkersaid it was "so good on so many levels". Nicholas Hytner directs David Calder, Ben Whishaw and David Morrissey. Nicholas Hytner directs a promenade staging of Shakespeare's bloodthirsty tragedy in which Caesar returns to Rome to public adulation and the educated elite plot his assassination to ensure Caesar cannot seize more power from the Roman republic. David Calder plays the title role opposite the brilliant Ben Whishaw (see The Hour, London Spy and his scene stealing turn as Q in the Bond films) and Michelle Fairley as coup conspirators Brutus and Cassius, and David Morrissey as Mark Antony. The promenade staging thrusts the audience into the street party that greets Caesar's return, the congress that witnesses his murder, the rally that assembles for his funeral and the chaos that explodes in its wake. Sarah Burgess' witty new comedy stars Hayley Atwell, Tom Riley and Aidan McArdle. Hayley Atwell, star of BBC's Howards End, makes her Hampstead Theatre debut as Jenny in the UK premiere of Sarah Burgess' witty comedy, Dry Powder. She is joined by Tom Riley and Aidan McArdle in a production placed at the financial heart of New York City. In the same week his private equity firm forced massive layoffs at a supermarket chain, Rick threw himself a lavish engagement party - which even featured an elephant - setting off a Public Relations nightmare. The ensuing comedy explores the vision, the vulnerability, and the vilification of those shaping - and skewing - the economy. Jeremy Irons stars alongside Olivier Award winner Lesley Manville. Jeremy Irons returns to the London stage for the first time in over 10 years opposite Olivier Award winner Lesley Manville as the early 20th century parents, who are doomed to a destructive cycle of love and resentment with their two sons. Richard Eyre directs the star duo in this West End transfer of Bristol Old Vic's 250th anniversary production of Eugene O'Neill's Pulitzer Prize-winning drama, Long Day's Journey Into Night. Oscar-nominated Carey Mulligan stars in this emotionally wrought portrait of romance. 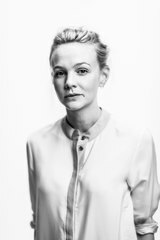 Starring BAFTA Award winner Carey Mulligan, Girls & Boys sees writer Dennis Kelly collaborating for the first time with director Lyndsey Turner on an emotionally wrought portrait of a romance that begins with a chance encounter in a queue at an airport boarding gate. The Oscar nominated star of Suffragette, Shame and An Education, Mulligan's name will ensure a sell-out success for the show, penned by Dennis Kelly who famously co-wrote Matilda the Musical with comedian Tim Minchin. In fact, the Royal Court extended the run adding an extra week of performances, from 12th to 17th March 2018, before the show even opened. Suranne Jones plays Nancy in this award-winning psychological thriller. Doctor Foster star Suranne Jones plays Nancy, an 'every woman', in Frozen, in Bryony Lavery's award-winning psychological thriller. The story is about three strangers who attempt to make sense of an unimaginable horror - the disappearance of a young girl en route to her grandmother's house. Not only is it about a woman loosing her child, says Suranne, "but it's about her finding herself again and I think that we can all relate to that". Jonathan Munby directs a strong cast which includes Jason Watkins and Nina Sosanya. 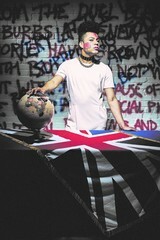 A new take on Derek Jarman's cult punk film. Chris Goode's stage adaptation of Jubilee transfers from Manchester to London this February with a run at Lyric Hammersmith. A new take on Derek Jarman's cult film, it captures the spirit of the original but updates it to fit with the social and political turmoil of 2017. The story is centred around a girl gang on a killing spree and a time-travelling Queen Elizabeth I, exploring what happens when creativity and nihilism collide. Rufus Norris directs Rory Kinnear and Anne-Marie Duff in Shakespeare's tragedy. 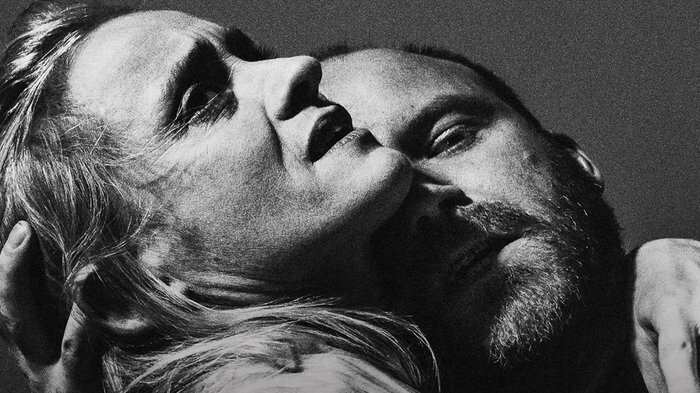 Rory Kinnear and Anne-Marie Duff play Macbeth and Lady Macbeth in this revival of Shakespeare's intense and terrifying tragedy, directed by the National Theatre's Rufus Norris 25 years after his last Shakespeare production. Set in the ruined aftermath of a bloody civil war, ruthlessly fighting to survive, the Macbeths are propelled towards the crown by forces of elemental darkness. Set design is by Rae Smith, costume design by Moritz Junge, lighting design by James Farncombe and sound design by Paul Arditti. Stephen Daldry directs this hilarious and profound heart-breaker. In March 2018, Stephen Daldry directs this hilarious and profound heart-breaker; a major world premiere in two parts by New York playwright Matthew Lopez. Set a generation after the AIDS crisis, The Inheritance looks at the fears, the activism, the communities and the new kinds of isolation in modern day America. Stephen Daldry directed Billy Elliot (which won ten Tony awards - more than any other British show in Broadway history), The Audience and Skylight, Netflix series The Crown and most recently The Jungle here at the Young Vic. The Olivier Award-winning production transfers from Manchester. Sharon D Clarke reprises her role in Caroline, or Change this March when the musical transfers from Chichester to London's Hampstead Theatre. The Olivier Award-winning production is set in 1963 Louisiana during America's civil rights movement. Whatever the progress of the movement, everything in the Gellman household seems to stay the same. For now, that is. Eight year old Noah is heartbroken by the death of his mother and his father's remarriage, choosing to escape it all by sneaking down to the basement to spend time with his black maid, Caroline Thibodeaux. However, when Mrs Gellman figures out a way to enable Caroline to take home a little more money, it has unexpected consequences her and Noah's relationship. The hit musical returns to the West End for the first time in five and a half years. James Graham's new play is about the coughing Major, who cheated on Who Wants To Be A Millionaire? Following a sell-out run at Chichester Festival Theatre, Quiz, the play about 'the coughing Major' who famously cheated on Who Wants To Be A Millionaire?, transfers to the Noel Coward Theatre. Written by James Graham, the playwright behind Labour Of Love and Ink, Quiz is a fictional imagining of real events which took place in 2001, and its transfer marks a West End hat-trick for the prolific young Nottinghamshire-born writer. Chichester's Daniel Evans directs this "state-of-the-nation" drama which takes "a broader look at truth and lies" (The Telegraph). The first West End revival since the original 1986 production. Laurence Connor directs the first West End revival since the original 1986 production, which starred Elaine Paige, of Chess. The famous eighties musical written by ABBA songwriters Benny Andersson and Bjorn Ulvaeus, with Tim Rice, tells a story of love and political intrigue, set against the background of the Cold War in the late 1970s/early 1980s. his new West End production, presented at the London Coliseum features English National Opera's award-winning orchestra and chorus. It's directed by Laurence Connor, whose recent credits include School of Rock and Miss Saigon, Les MisÃ©rables and Jesus Christ Superstar. Choreography is by Stephen Mear. This year's season includes Peter Pan, As You Like It and Little Shop of Horros. A mainstay of summer in London, the Regent's Park Open Air Theatre opens its doors for another season in 2018, opening with their Olivier Award-nominated production of Peter Pan. Then comes The Turn of the Screw, a co-production with English National Opera, which reunites director Timothy Sheader with designer Soutra Gilmour who previously designed the impressive multi-tiered set for the Olivier Award-winning production of Into the Woods. Max Webster, the director behind The Lorax at the Old Vic, stages Shakespeare's romantic comedy, As You Like It, and Little Shop of Horrors is the monster musical of the season. During the day, Dinosaur World Live brings Tyrannosaurus rex and friends to the park in a brand new 50-minutes show for ages 3 and above. Carrie Cracknell directs The Crown's Vanessa Kirby in this new version of August Strindberg's tragedy. Known for her reinterpretations of classic plays, Carrie Cracknell directs The Crown's Vanessa Kirby in Julie at the National's Lyttelton Theatre. Reworked by Polly Stenham and designed by Tom Scutt, the new version of August Strindberg's tragedy brings Miss Julie into contemporary London. As a late-night party begins to die down, Julie continues to dance but downstairs Jean and Kristen listen and wait. What will follow as the three of them engage in a dangerous tryst? A refreshingly honest, wholly original musical based on Alison Bechdel's graphic novel. Winner of five Tony Awards, this is an electrifying musical version of Alison Bechdel's graphic novel which took America by storm. Fun House is derived from a comic that, according to The Observer (*spoiler alert*) "tells the story of how her closeted gay father killed himself a few months after she came out as a lesbian". Still, despite the dark subject matter, it manages to be "a resonant and sophisticated musical" (The Guardian) which is "bracingly honest, touchingly wise and bittersweetly funny" (The Washington Post). Sam Gold who directed the original New York show is back at the helm as it tours to the Young Vic. Poldark star Aidan Turner makes his West End stage debut. Sam Mendes directs the epic story of Lehman Brothers from its beginning in 1844 to its end. From July 2018, Sam Mendes directs the epic story of Lehman Brothers from its beginning in 1844 to its end 163 years later. Few will forget the scenes of bankers leaving in 2008, their personal effects in cardboard boxes. Stefano Massini's play, adapted for the National by Ben Power, has been staged across Europe. The triumphant world premiere in Paris in 2015 was directed by Arnaud Meunier. Two years later it impressed the critcis in Italy. Now this five-hour saga comes to the Lyttelton Theatre, played out in three parts over one evening, charting the extraordinary story of three Jewish brothers who "became the kings of Wall Street" (The Guardian). Patrick Marber directs his own adaptation of Eugene Ionesco's dark comedy, starring Rhys Ifans. This July at the National's Olivier Theatre, Patrick Marber directs his own adaptation of Eugene Ionesco's dark comedy, Exit the King. On the back of his lead role in A Christmas Carol at the Old Vic Theatre, Rhys Ifans stars as the King while Indira Varma takes the role of the Queen. Anthony Ward provides the designs. Award-winning writer Vinay Patel presents a new piece. 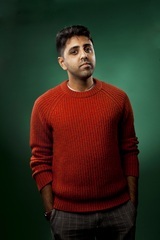 Renowned for his BATA Award-winning BBC drama Murdered by My Father and the critically acclaimed True Brits, Vinay Patel returns to the Bush Theatre with An Adventure. An epic and technicolour love story, it starts in 1954 with a woman who's just discovered that, having been told she's doomed to marry one of five men, she might end up with the person she'd been hoping for all along. Following headstrong Jyoti and her suitor Rasik, it takes audiences on a journey through the fall of the Empire, travelling from the shores of post-Partition India to the forest of Mau Mau Kenya and then the industrial upheaval of 1970s London. Marianne Elliott directs a new take on Stephen Sondheim's work. Marianne Elliott - best known for The Curious Incident of the Dog in the Night-Time and War Horse - directs a new take on Stephen Sondheim's Company at the Gielgud Theatre. Staged this September, it will re-cast the lead, Bobby, as a 35-year-old woman named Bobbi, played by the award-winning Rosalie Craig. In this adaptation, Bobbi rebels against her married friends, who all think it's high time she settled down. Broadway star and Olivier Award-winner Patti LuPone returns to the West End for the first time in 25 years to star as Joanne. Jim Broadbent stars in this twisted comedy. Revered children's author Hans Christian Andersen, played by Jim Broadbent, harbours a dark secret in the attic of his Copenhagen townhouse. A Very Very Very Dark Matter at the Bridge Theatre reveals the secret which he has kept hidden from millions of his adoring readers in Martin McDonagh's new play, a dark and twisted comedy drama which will, no doubt, draw comparisons to his National Theatre and Broadway hit The Pillowman. Directed by Matthew Dunster who previously brought McDonagh's Hangmen to the stage at the Royal Court. NOTE: Contains strong language, sexual references, violence and scenes people may find disturbing. From cheap budget accommodation to luxury 5 star hotels see our deals for hotels, including The Waldorf Hilton Hotel London from 48% off.